アメリカ、日本、ドイツ等における反知性主義の諸 (Anti-Intellectualism in the US, Japan and Germany) Symposium: The Yoshimi Yoshiaki Trial and Anti-Intellectualism, Waseda University, 3 June 2017. Hokkaido University Japanese Studies in English Lecture Series, 12 May 2017. 参議院 国際経済・外交に関する調査会, Upper House of the Japanese Diet, Investigative Committee for International Economics and Foreign Policy, 12 April 2017. 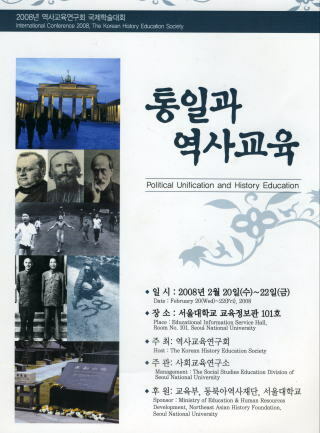 英語圏における「歴史戦」 (The Spread of the “History Wars” to the English-speaking world) 第15回歴史認識と東アジアの平和フォーラム, 15th Forum for Historical Consciousness and Peace in East Asia, Cheju (Korea). Politics, Memory and Public Opinion: Coming to Terms with Japan’s Wartime Past Hitotsubashi University Japanese Studies in English Lecture Series, 14 October 2016. Critical Japanese Studies in Asia Network, Sophia University, 4 July 2016. 中京大学法学研究科学術講演会 (Lectures of the Chûkyô University Law School) Chûkyô University, Nagoya, 9 February 2016. 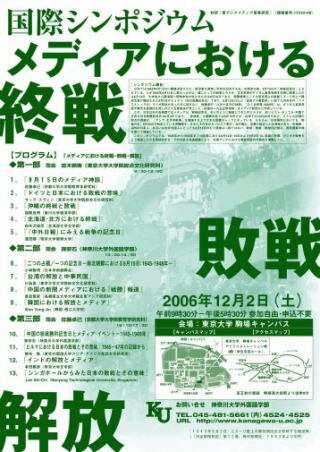 第14回歴史認識と東アジアの平和フォーラム, 14th Forum for Historical Consciousness and Peace in East Asia Okinawa, 31 October to 1 November 2015. Tokyo, 11 June 2014 (invited). 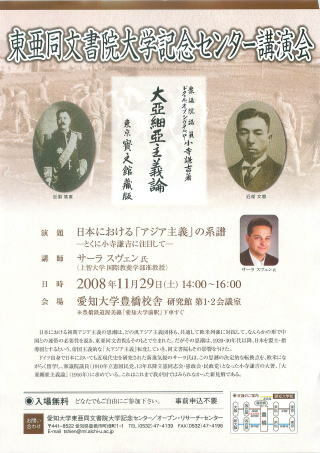 Panel Organizer and Chair: Recent Developments in Research on Fascism in Japan. 8. International Convention of Asia Scholars (ICAS), Macao/China, 24-27 June 2013. 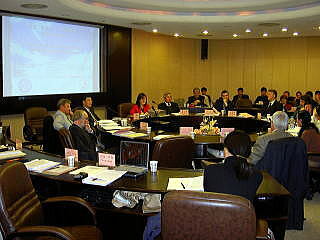 History & Humanities Study Group, German Institute for Japanese Studies (DIJ), Tokyo, 30 March 2005. DIJ History Humanities Workshop “Making History – The Quest for National Identity through History Education, German Institute for Japanese Studies (DIJ), Tokyo, 21 September 2001. 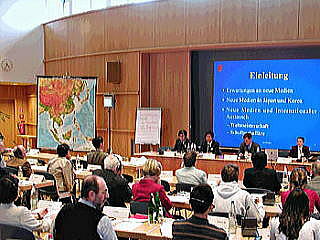 History & Humanities Study Group, German Institute for Japanese Studies (DIJ), Tokyo, 14 March 2001.